The Audiobooks are now fully operational. In the past, these were normally reserved for the blind. But as time progressed, the books on the cassette and later followed by the CD were then made available to the general public some 3 decades ago, and this was mostly by subscription or in libraries. Later on, they started being loaded in bookstores, taking up shelves one by one until all the shelves were filled up. In the late ‘90’s, big stores started filling up their whole walls with audio books. However, in this age of the digital downloads, the book shelves are becoming scarce once again. But the good thing is that the industry is doing well-the audiobook industry is estimated to be worthy $1.2 billion. A lot of people love the convenience that comes with the use of the audio books and they enjoy reading them to. Some critics argue that if a person listens to a narrated book, then it is not the same thing as reading it. Below are some of the best audiobook apps. This app gives unlimited access to more than 24,000 + free audiobooks. 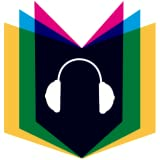 Every LibriVox audiobook can be downloaded or streamed over from the internet for later use and without any charge as it is absolutely free. This app has lists for the newest recordings that feature classic best seller and also out of the print treasures. This app makes it easy to get the book you want. 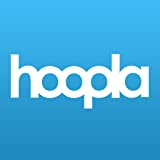 This is a free audiobook app that has a library of about 6,000 plus titles and also more than 100,000 premium audiobooks in almost every genre such as romance, fiction, sci-fi, children’s, business and mystery. You can access thousands of some of the best-selling and also hundreds of new releases which are added on a weekly basis. You can stream or download an audiobook to your android tablet or phone and begin listening to good stories instantly. You will greatly love how the audiobooks can transform your household chores, workout sessions, commute, and a lot more. For how to install Google Play apps on Kindle Fire, please read this guide. Scribd app enables you to access some of the audiobooks, news, books, sheet music, magazines, and a lot more- at a very low cost. It simplifies and makes it easy for someone to go deep into a certain topic, stay there for some time, explore some of the latest things, or even escape into a very nice story, the only App you need for this is the Scribd. You will be able to explore some of the trending topics, even get personalized recommendations, or checkout collections that are picked from popular business leaders, the tastemakers or even their editors. If you are a member, you’ll be entitled to 3 books credits and also 1 audiobook credit every month, in addition to getting unlimited access to documents, magazines, and more. This app is one of the best when it comes to managing your to-do list more elegantly. You are only needed to add the location where you would like to do the task and it will always remind you whenever you’re in that neighborhood. Release date: April 8, 2019.